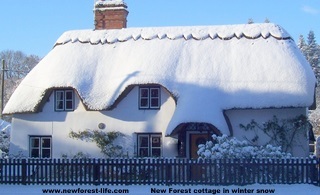 New Forest snow December 2010 will show you just how extreme the weather has been in the New Forest in this particular winter. 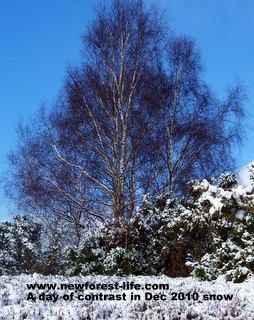 I want to share my "At a glance weather pictures" with you. 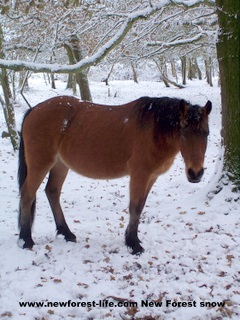 This is what the ponies and other animals have to eat! 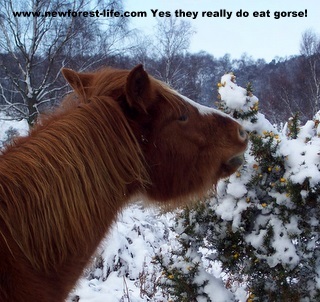 A pony eats the gorse! 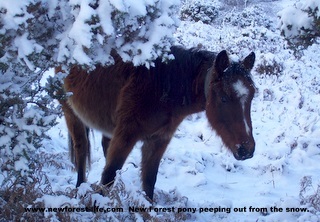 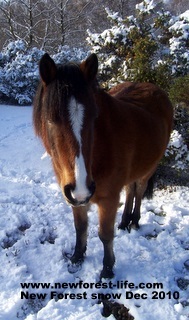 New Forest pony - one of my favourites! 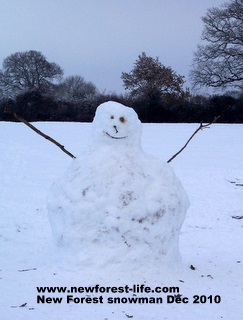 A Snowman December 2010 - the carrot nose was eaten! 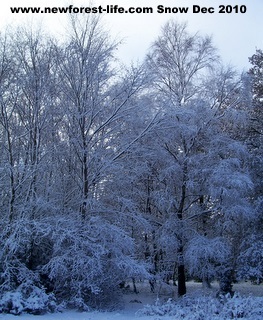 Amazingly enough, all these photos were taken within 1-2 hours and yet while I was out the sky was grey, then brilliant blue. 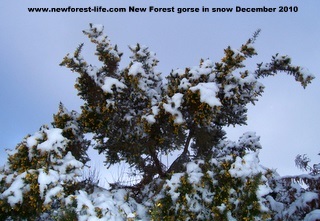 The landscape was often totally snow laden then trees looked quite free of snow on many branches - such contrasts within this New Forest UK National Park!